Did you know that teenage drivers are three times more likely to be involved in a motor vehicle accident than those who are 20 or older? With their relative lack of experience and the constant bombardment of distractions, it’s no wonder that young people are at risk. 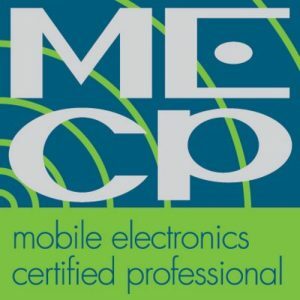 The aftermarket mobile electronics industry offers a wide variety of systems and solutions that can protect teenage drivers. While it’s certainly best practice to focus exclusively on the task of driving when behind the wheel, now and then, we need to take an important phone call. Bluetooth hands-free communication became a life-saver in the late 2000s, allowing a driver to talk with someone without having to hold the phone. 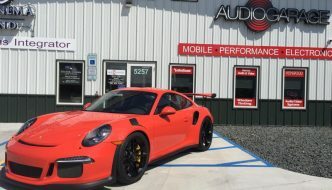 There are several ways to add Bluetooth to your vehicle if it didn’t come from the factory with hands-free communication features. A Bluetooth kit from companies like Parrot, Cruz, iSimple and Axxess can operate as a standalone solution or one that integrates with the speakers or radio already in your vehicle. The second option is to upgrade your factory radio with an aftermarket unit that has Bluetooth hands-free calling and audio streaming capabilities built in. The majority of these solutions also add Siri Eyes Free and may even allow you to pair two phones at once. 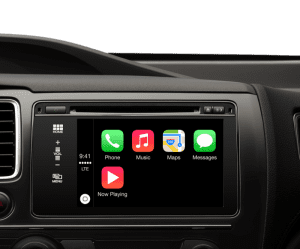 For the ultimate in smartphone integration, an aftermarket multimedia receiver with Apple CarPlay or Android Auto adds a wide variety of communication, information and entertainment options that can be accessed using voice commands. By simply pressing and holding a button on your steering wheel, you can ask these systems to place a phone call, send a text message, or search for an address and provide navigation instructions. The voice recognition technology built into a smartphone allows the driver to keep their eyes on the road and mirrors to ensure he or she is safe. CarPlay and Android Auto also help reduce distraction by making it much easier for your son or daughter to choose the music they want. They can pick a song, artist, album or even genre of music from the media stored on their smartphones. They also have access to streaming music services like Pandora, iHeartRadio, Slacker and Tidal – all by just talking to the radio in the vehicle. We all know that backing into a parking spot is the ideal parking solution, since it makes pulling away much safer. Backing up can be tricky, especially when it’s hard to see objects or people behind the vehicle. An aftermarket backup camera system or parking sensor system is like having our own personal ground crew, guiding you to safety. Parking sensor systems use an array of ultrasonic transceivers to detect objects behind your vehicle. From an abject as narrow as a signpost to a tricycle or trash can, objects of almost any size are detected very reliably. Most systems produce a warning beep when the objects are first detected at a distance of about 3–4 feet. The beeps increase in speed as you get closer and closer to the object. Finally, at about 12 inches, the beeps turn into a solid tone to let you know it’s time to stop. 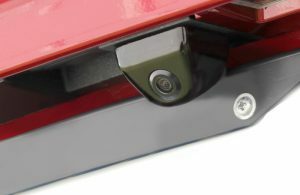 Parking sensor systems are also available with sensors for the front of the vehicle. These are a great option for parking in a garage or underground structure. A backup camera system uses a compact camera to let you see an image of anything behind the vehicle. The image from the camera can be displayed on many factory-installed infotainment systems, a new rearview mirror with a built-in screen or an aftermarket multimedia receiver. The image appears automatically as soon as you put the transmission into reverse, so you don’t have to remember to press any buttons. Many video systems will support a secondary camera that faces forward on the vehicle. These second cameras are a great option for trucks, vans and SUVs whose large dimensions make them difficult to park. One of the biggest challenges for a new driver is traveling on the freeway. Keeping track of the position of cars and trucks around one’s vehicle can be very difficult. 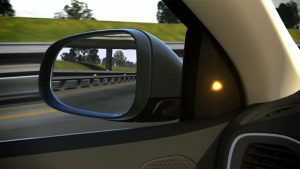 An aftermarket blind-spot monitoring system lets you know when someone is driving beside you and can dramatically reduce the chance of changing lanes when someone is in your way. 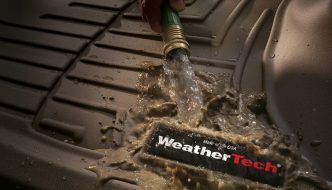 The most-popular blind-spot warning system uses a pair of radar or ultrasonic transceivers that your installer mounts behind the rear bumper cover. These units monitor the area in the lanes beside yours for the presence of other vehicles or pedestrians. When someone or something is in your blind spot, a warning light will illuminate inside the vehicle to let you know what side the obstruction is on. In most installations, the warning lights are installed at the base of the A-pillar. In some systems, an audible warning will be produced when someone is in your blind spot and you turn on the correlating turn signal. The second option for blind-spot monitoring is a camera system. 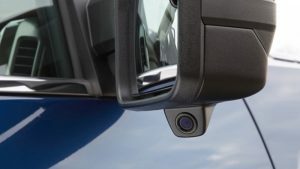 In these systems, cameras mounted underneath your rear vision mirrors display an image of the area beside your vehicle when you activate the turn signal. Just like the backup camera systems, there are many options available to display the image from the cameras. If you are looking for the absolute state-of-the-art in protection, look into the Mobileye series of products. The Mobileye 660 uses a precisely calibrated camera to monitor the area in front of the vehicle and alert the driver when you are leaving your lane, approaching another vehicle too quickly, or at risk of colliding with a vehicle or pedestrian approaching from the side. This is the same technology that Tesla uses in its AutoPilot system. Another great option for a younger driver is to install a dash cam. A dash cam is a small video recording system that mounts to the windshield of the vehicle. 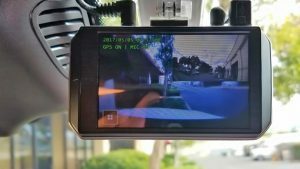 The camera not only records everything in front of the vehicle, but most include an onboard GPS receiver and an accelerometer to store vehicle speed and driving behavior. If your son or daughter knows that you are recording everything they do, they are less likely to drive dangerously. 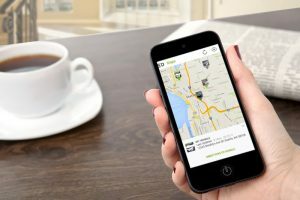 The last option to consider is a GPS locating system. 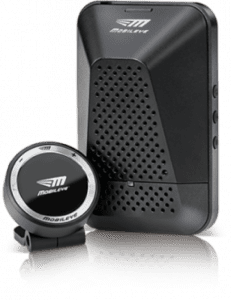 These devices combine a dedicated cellular data module with a compact GPS receiver to allow you to look at the vehicle location and speed any time you want. More-advanced systems include the ability to configure over-speed warnings, aggressive driving warnings and geofencing options that will alert you if the vehicle enters or exits a preset area. Just as with the dashcams, if the driver knows you are monitoring their location and speed, their behavior will change for the better. 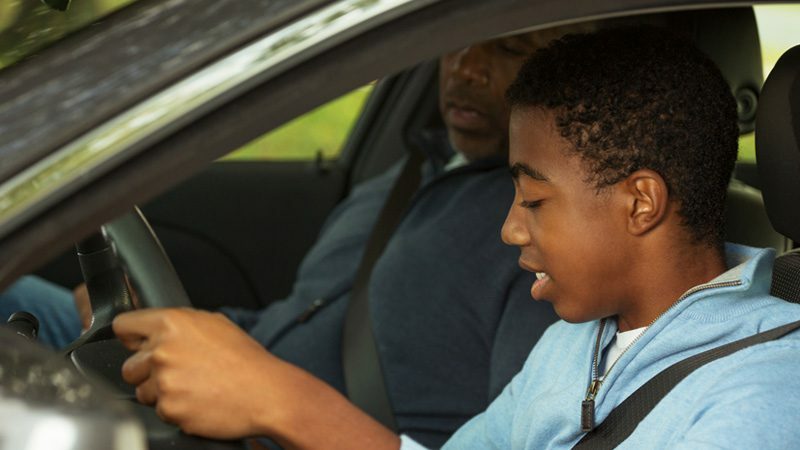 While no technology can replace experience and intuition, driving assistance devices are a great way to give teenage drivers a better chance of avoiding an accident. 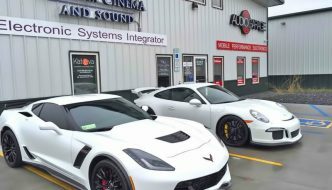 If you are interested in any of the products mentioned in this article, visit your local specialist mobile enhancement retailer and ask about compatibility with your vehicle.